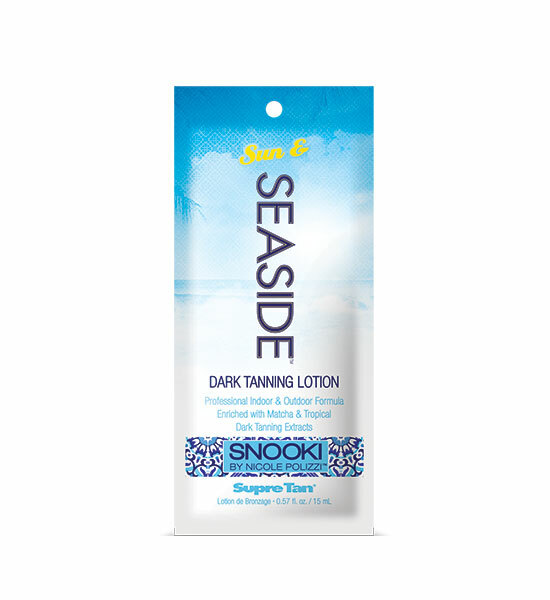 Take a stroll down the boardwalk with Snooki s Sun & Seaside Dark Tanning Lotion. Specifically designed to help build and extend the life of your tan, this professional indoor & outdoor formula is the perfect grab and go must have for a trip to your tanning salon or a day outside enjoying the sun. Enriched with skin nurturing Matcha and Natural Moisturizers blended together for deep skin hydration for those hot and sun filled days.